NEW YORK CITY — So maybe you don’t exactly have a green thumb. And maybe the last time you tried to add some plant life to your apartment, you ended up with dead, dried-up leaves. But don’t give up hope (even experts said!). Plants are a quick way to perk up your home and even make the air a little cleaner — you just might not be choosing the right ones for you, or your space. We asked a bunch of plant-loving experts about what type of greenery is pretty hard to, well, kill — and how to keep that green thriving. A general first step to keep in mind: you’ve got to evaluate your apartment’s light situation, and your own habits. Also important to remember, is that no matter what plant you get, they need some amount of care, said Dimitri Gatanas, an owner of East Harlem's Urban Garden Center. "You've got to check on them, see how they are doing, feel the soil — it shouldn't just be an automatic thing that you just water them everyday, most plants are over-watered, actually." As far as plants go, succulents are “trendy” right now, our experts said. 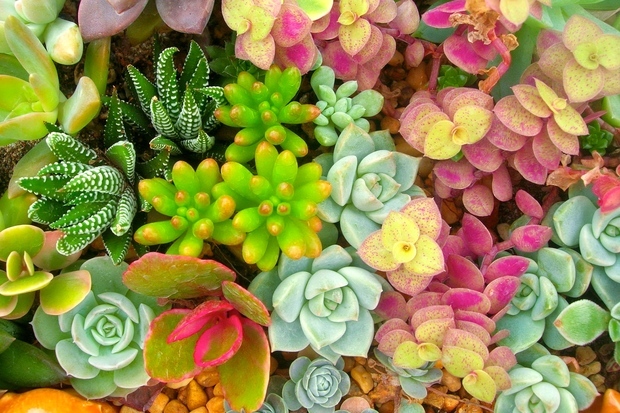 There’s wide range of succulent types, but they often have plump little leaves and odd quirky shapes, and sometimes come in a variety of colors. Their preferred environment is dry and very sunny — so if you get a lot of good light, and only want to water a plant every 7 to 10 days, these might be the plants for you. Hachadourian recommended two types of plants for medium light: the Spider Plant, which has long, narrow leaves (kind of like loads of spider legs) and the Snake Plant, whose leaves are wider and stand up straight (and kind of resemble snakes). Both are attractive and easy to maintain, he said — and the snake plant is "virtually indestructible." The Pothos Plant, with its cascading wide green leaves, is another all-around easy-to-care-for plant. It can handle brighter light, but it will do just fine in low light. Similarly, the Cast Iron plant, which has large, dark green leaves, will thrive in low-light conditions, and doesn't need much fussing over. Despite a reputation for being tricky, orchids are actually rather low maintenance, our experts said. It's one of the few plants that will keep their beautiful flowers for long time inside an apartment. They generally like bright, indirect light and shouldn't be watered every day — soil should be moist but not sopping wet. Tillandsia, also known as air plants, require no soil, only moderate light — and you just need to soak them in water about every 7 days, making them very easy to care for. No matter plant you choose, don't be afraid to ask questions when you buy the plant about how best to care for your new, green housemate.